Painting until the sun rises… For the nights I find myself an insomniac and remedies like a glass of warm milk or counting sheep won’t help me fall back asleep- and yes I have tried them – I choose to paint. For me the best thing to do when I am restless and wired with a sudden burst of energy is to immerse myself in creative projects, like painting, writing or scrapbooking. From when it was just minutes to midnight, to almost the breaking of dawn, I let my music play and I listen to all the artists bearing out their souls. I harness any inspiration or sparks of creatvity and just paint. Granted I am purely just an amateur when it comes to painting. 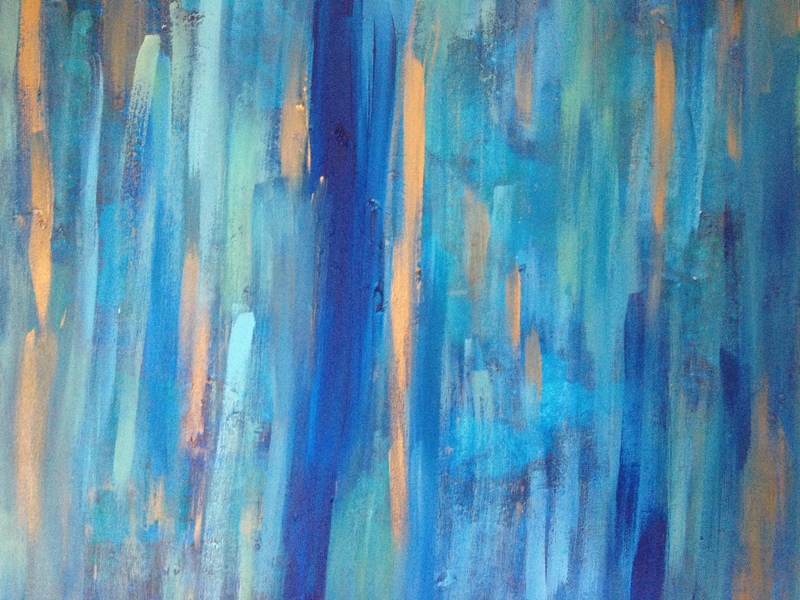 I love experimenting with different abstract ideas. Personally, I am drawn to earthy colors like 50 shades of blue, greens, a sea of turquoise variations, and every now and then I like to mix in some gold. Since I am not particularly attached to any of my works of art, I find the pieces that I am bored with and just paint over them. Some may think of it as ruining a piece of art, but I look at it as building onto a piece of art, each layer adds to it. A foundation that is always evolving. It’s kind of like a term I learned in one of my literature classes which is “palimpsest” basically the process of writing over text, again and again. The layers of text are always there, despite trying to strip the parchment clean to be used once again. In regard to my paintings its the process of painting over my past works of art, as if I had a blank canvas in my hands and sometimes faint remains of the previous painting surfaces and merges with the new painting. In that moment the past and present artwork collide forging a beautiful mess. 1. Reuse a canvas, any artwork that you have created and are no longer attached to consider painting something new on that canvas. 2. 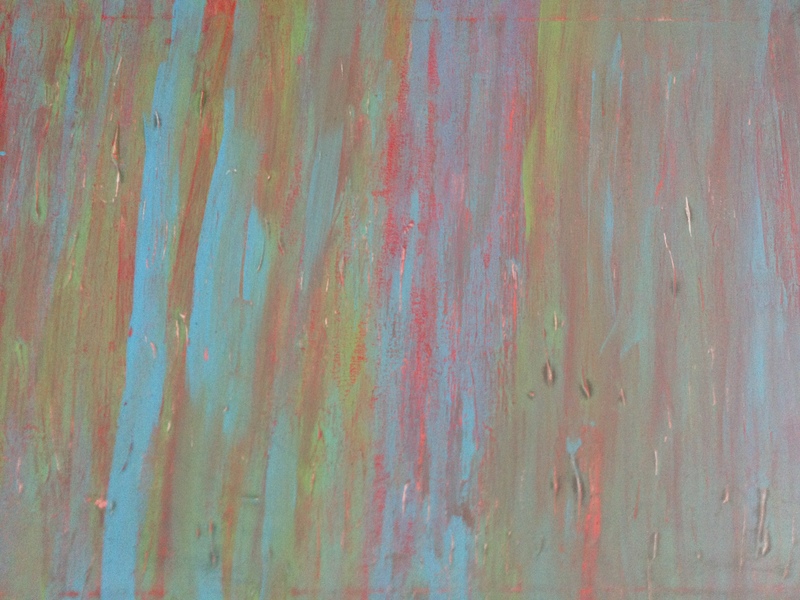 Use egg cartons or take-out boxes as a painting palette, they will last you a long time. Not a fan of styrofoam on any level, but I’d rather keep reusing it as much as I can before it winds up in a landfill. 3. 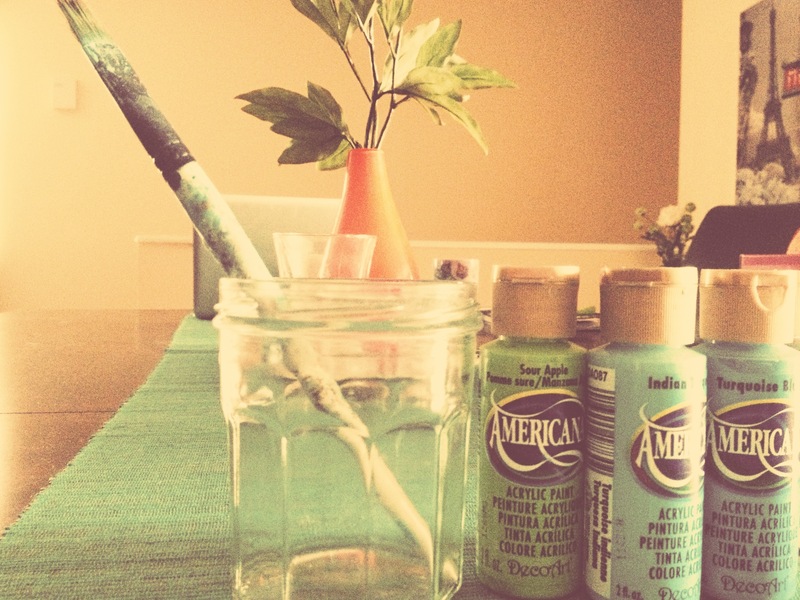 Use glass jars to store your paint brushes, and the water you will need to clean them. 5. Use eco friendly paint whenever possible. 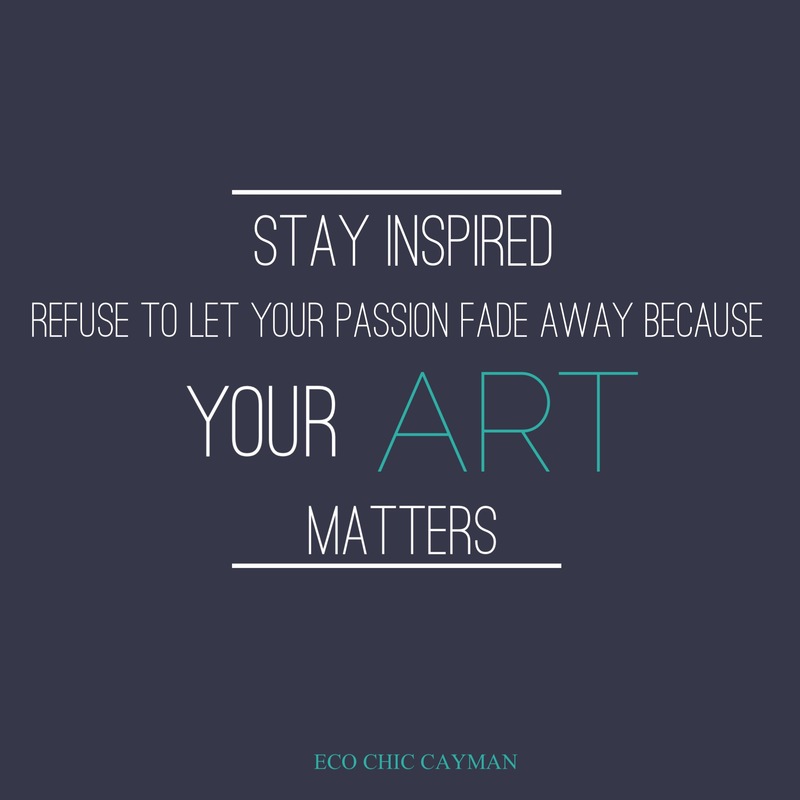 For all you artists out there, whether you paint, draw, or write, stay inspired and keep creating art, because your art matters. This weekend I am looking forward to getting lost in art, with so many creative ideas flowing and exciting art projects to begin working on or finishing. Wishing you all a lovely and inspiring weekend!